Our aim is to build West Africa’s first hospitality brand, focused on excellent customer service offering our signature food and drink options. Our principle is to maintain the highest standards of quality, freshness and seasonality. To grow the company to become the first West African brand to top the world hospitality space for food and drinks, and be known for our keen attention to detail on food presentation and customer service. The 355 Group was founded in December 2013 with the launch of 355 Restaurant & Lounge in the heart of Victoria Island, Lagos. Since its inception, we have received positive reviews for exceptional quality of food and customer excellence. The Mexican restaurant was an immediate success and is well known for its signature margaritas, excellent Mexican food, and laid back atmosphere. 355 brings our customers a Mexican and continental fine dining, in a unique and creative environment. We have a range of special cocktails and drink compositions from frozen margaritas to beer cocktails from our own specially made draft. The restaurant’s interior cleverly captures the ambiance of some of the trendiest geographical locations around the world with the perfect lounge music to control the mood. In August 2015, the 355 Group launched its second location in the heart of Abuja. 355 Steakhouse & Lounge represents 355’s luxury brand while maintaining some key aspects of the original restaurant. Similar to the layout at the Lagos location, the space consists of a restaurant on the first level, an outdoor cabana area, and two lounges on the second level. The restaurant offers a signature selection of quality steaks and also features a selection of continental dishes. The 355 Group aims to cater to discerning individuals who are either looking for a nostalgic experience or yearning to try something different. 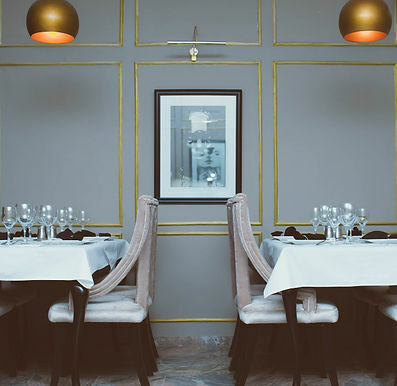 A great meal experience is memorable and at 355 we use the best ingredients, provide outstanding customer service, and aim for customers to have a similar fine dining experience as one at a top restaurant in London, Paris, or New York. The team at 355 has plans to expand to various locations throughout Nigeria and West Africa. Expect 355 Restaurant & Lounge opening in Accra in the near future. We look forward to sharing our experience with you!